Cape Canaveral, Fla. (AP) – Scientists have detected a black hole that’s taken a record-breaking decade to devour a star – and it’s still chewing away. The food fest is happening in a small galaxy 1.8 billion light-years from Earth. University of New Hampshire research scientist Dacheng (dah-CHENG) Lin said that black hole feeding frenzies have been observed since the 1990s, but they’ve lasted just a year. At 11 years and counting, this is the longest known one yet. Lin and his team used data from orbiting X-ray telescopes to study the monstrous munching. X-ray flares erupt when a star gets swallowed by a black hole and cooked millions of degrees. Black holes clearly like their stars well done. “We have witnessed a star’s spectacular and prolonged demise,” Lin said in a statement. The X-rays coming from this black hole surpass expectations in another way. 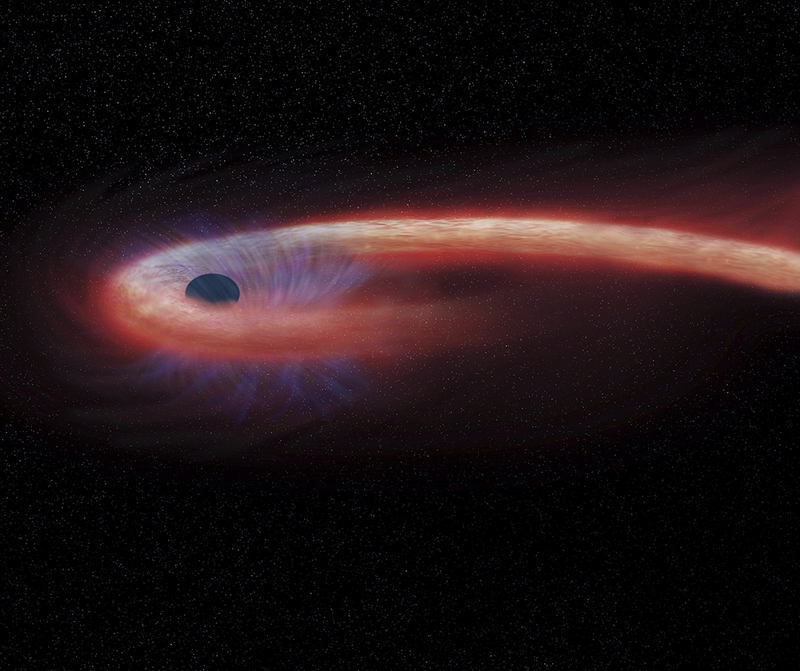 The binge eating by this particular black hole began around July 2005. Based on computer models, the feasting should taper off over the next decade. The discovery was reported Monday in the journal Nature Astronomy.